Another update – this one should be entitled “Time for Trillium”. 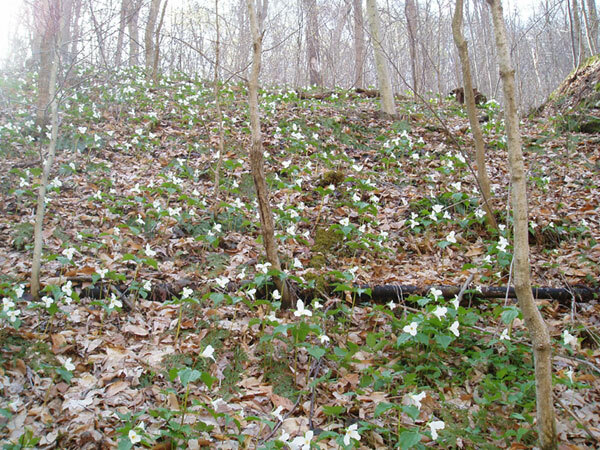 The large-flowered trillium is blooming in great abundance (literally thousands of plants) on the Roaring Run trail in Apollo. If you can get there this weekend, I heartily recommend it. If you can’t, there’s a picture in the link below. Emerging fern fiddleheads (an edible delicacy – but only if you know the correct species! Many are poisonous….) Like Tacos! Rue anemone – also called windflower. This entry was posted in Deborah's notes. Bookmark the permalink.